Huawei, together with 16 partner companies, offered more than 100 job vacancies - all of which were filled by the end of the event. To support digital transformation in Saudi Arabia, Chinese technology giant Huawei and the Saudi Arabian Ministry of Communications and Information Technology held a tech jobs fair in the country’s capital Riyadh on 17 January. Huawei, together with 16 partner companies, offered more than 100 job vacancies – all of which were filled by the end of the event. During the fair, Huawei also launched the Saudi Talent Enabling Program. This is an educational program intent on training young Saudi tech talent, and developing an ecosystem for them that helps them find jobs. Hazem Bazan, vice president of Channels and Commercial Sales of Huawei Middle East, said the firm supports the Saudi Vision 2030, which looks to enable digital transformation and thus keep the country’s economy internationally competitive. 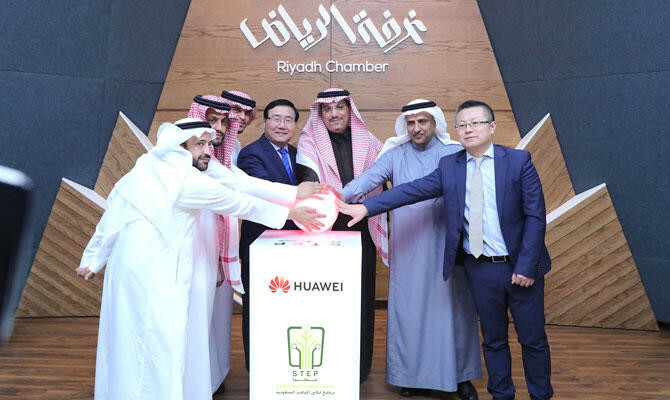 “We are grateful to Huawei for its great contribution to accelerating our kingdom’s digital transformation by equipping our students with the skills they need to drive forward the [information communications technology] industry,” said Saad Almaleki, general manager of Digital Capabilities at Saudi Ministry of Communications and Information Technology.